Freelancing is a great opportunity to be your own boss and create a flexible schedule. These six tips will help you build a reliable client base. In its third annual Freelancing in America survey (conducted in partnership with the Freelancers Union), Upwork polled 6,002 working U.S. adults, over 2,500 of whom identified themselves as freelancers. The 2016 survey revealed that the number of freelancers in the U.S. has increased by two million since 2014, jumping to 55 million workers, or 35 percent of the workforce. And it's no wonder, when you consider the benefits freelancing offers such as the opportunity to make your own hours and be your own boss. Luckily, finding freelance work is easier than ever -- 77 percent of freelancers in the survey noted that technology has made freelancing easier and more profitable, and 66 percent said the amount of business they found online increased in 2016. But building a reliable base of freelance clients who keep coming back for more work takes time and effort. Travis Flastad has worked as a freelancer for more than 10 years, building simulators and training aids for the Department of Defense. He finds that, as a freelancer, it's important to have business cards, a website and social media networks set up to identify yourself as a professional. It not only helps you land more business, but maintaining a professional image can even help you secure "a competitive rate," he says. He even suggests having "someone you trust who doesn't fully understand what you do" look over your business materials to see if it helps them get a better idea of what you offer. That way, you can have an unbiased look at how you get your message across, and anything they don't understand, you know you'll need to clarify. "I've been building my services for 10 years, but the best feedback I sometimes get is when a trusted colleague tells me they don't exactly comprehend a new service," says Falstad. Just as you need to view yourself like a business, you also need to network and build relationships like a business owner. As a freelancer, you have a lot of competition, but if you work on building solid relationships with your clients, they'll be more likely to keep coming back to you. Your focus should be on turning "a one-off assignment into a repeat one," says Monica Mizzi, editor of FreelanceWriting.com. Don't expect clients to automatically come back to you for more work -- you might have to be the one to follow up. While she admits it's cliché advice, Mizzi says freelancers need to be "confident, assertive and compelling in order to convince a client to work with you again." Just as you would with any other job, make it clear why you think you're the best fit to work on future assignments. Make sure you sell yourself to the client by emphasizing your unique set of skills and how excited you are at the potential to work on future projects. "If they say no, you really haven't lost anything. But if they say yes, you could land yourself a job for the long haul," says Mizzi. When building your network as a freelancer, don't focus on only potential clients. You should also build connections with other freelancers in your industry. It's not only a great way to get keyed in to new freelancing gigs, but if you can't finish a project for a client, it looks more professional if you can pass the opportunity off to another trusted freelancer. In fact, Mizzi says that in her experience, some of the best freelancing gigs she's landed have come from other freelancers in her network. "I have had several freelancing jobs passed on to me from other freelancers who weren't able to complete the assignment at the time. It looks more professional when you're unable to complete an assignment to find a trusted replacement, rather than to reject an offer for work outright," she says. With a growing demand for specialized technical skills, more businesses are turning to freelancers to fill those needs on new projects and initiatives. If there's a certain skills gap in the industry, you can jump in and fill that role for businesses who can't find that skill internally or in potential candidates. "As more business moves online, local talent pools can't keep up, resulting in jobs taking multiple months to fill. At the same time, there are many skilled freelancers living outside of these cities also looking for work," says Rich Pearson, senior vice president of Marketing and Categories at Upwork. Focusing on specific skills can also help you find communities or industries where your skills are needed the most. Instead of targeting across the board, if you use this focused approach, Falstad says it becomes easier to land new clients and build a reputation. "I worked in the music industry for years and relate it to how a band typically finds success. Every person you meet who is active in the space and understands your offering is like a fan. It is worth the time to cultivate those relationships and be sure they understand you and know what you offer. Then, when they hear of a need, you will be at the top of their list and they will be happy to make the referral," he says. As a freelancer, you won't have the advantage of being in-office or having an established relationship with your new clients. That means you should over communicate to save everyone's time; you don't want to find yourself spending hours revising your hard work because you didn't understand their corporate culture. "Clarify everything by asking questions. It is always better to ask 10 questions and get the job done right, than spend 100 hours working on something that isn't what was asked for," says Pearson. Consider a test project before you sign on for a long-term project, says Pearson. It's a great way to make sure you and the potential client are a good fit, before too much time or money is invested. When you ditched the corporate treadmill, you might have thought your days of interviewing were over. Unfortunately, even as a freelancer, you still have to go through interviews, but the process is a little different. You'll be interviewing the client just as much as they'll be interviewing you. Because you want every client to fit in with your growing portfolio of work, so it's important to weed out projects that aren't a good fit early on. "Make sure you understand what they're looking for. If you get a feeling that it's not going to be the right match, don't take the project. A work relationship needs to be a fit from both sides so including an initial interview process that helps both parties make an informed decision is critical," says Pearson. Interviewing new clients can also give you more insight into what type of project they will need, and how you should bill them for your time. Falstad says you might find that with some clients, an hourly approach is best, while for others, you might want to charge a flat fixed rate. In some cases, if you can sense a client will be high-maintenance, you might want to up your fee from the get go. Whereas with clients who are easy to work with and offer flexibility, you might want to charge them a lower rate. "I always remind people to be up front with pricing and make it clear when payment is expected to begin. 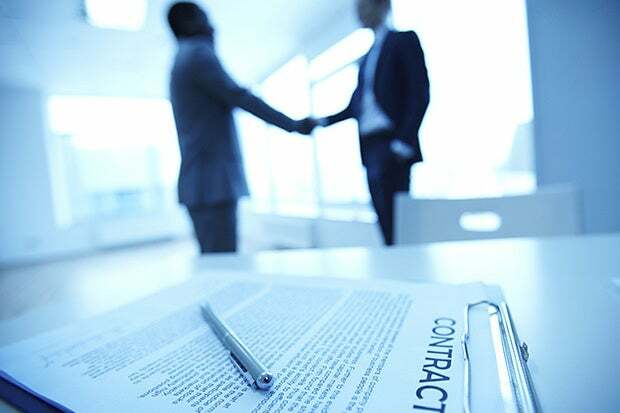 It is worth the time to acquire sample agreements so you're ready to fire off a work-for-hire agreement when the time comes and not have to scramble," he says.